In a day and age in which everyone and their grandmother owns and operates some kind of Apple product, be it a humble iPod, snazzy iPad, trendy Apple watch, or ubiquitous iPhone, the Apple Store needs no introduction. Launched on November 10, 1997, the store takes pride in observing the arguably foul-proof Apple order tracking system. Each time the company releases a new and edgy product, such as the latest generation of mobile gadget, the Apple store is taken by storm weeks in advance, with pre-orders flying left and right, and typically counting in the hundreds of thousands. That being said, it’s worth assessing the Apple order tracking process, to see if it actually provides smooth sailing through the company’s product range and other items available for purchase. Is it easy to track your order via the store? Does the company provide refunds for delayed packages? Find out the answers to all these questions, and much more, in today’s post. If you live in one of the 39 countries where it is available, you can visit store.apple.com for more info. 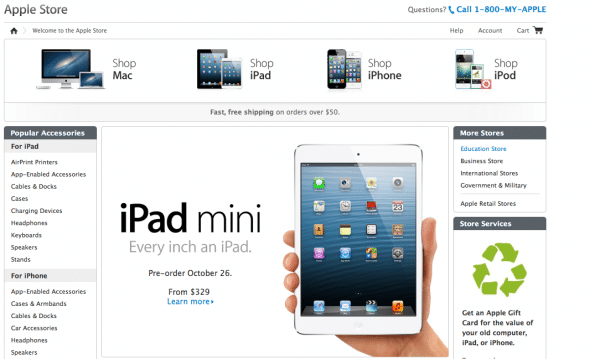 For the vast majority of buyers, the order tracking process takes place on the Order Status page of one’s Apple Store account. If you access yours, you’ll be able to do a lot more than just check up on your purchased items. You will also be able to track the shipment, return whatever items are eligible for such an operation, sign-up in advance for a particular product, edit your personal information, check out the Apple retailer where you can pick up your order, buy gift cards, engrave products, and review past invoices. Your order has been received and will soon be processed. Before it is processed, you can still edit its details. Your order is being processed. 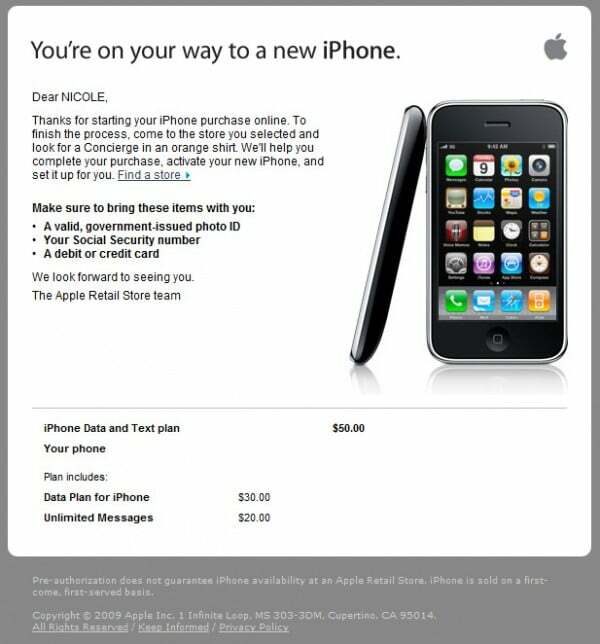 You may still be able to edit it, either online, or by contacting the Apple Online Store Customer Service. Your order is about to be shipped. Your order cannot be modified anymore. Depending on where it will be delivered, you’ll receive either a Shipment Notification, or a Pickup Notification (with the name and address of the Apple store where you can find the items). Your order has been shipped. From this point, the order tracking number should appear online, both on the carrier’s site, as well as in your Order Status list. Your order is being shipped to the nearest Apple Store. When it’s ready for pickup, you will need to bring along the same card you used to pay for the order, and/or the order number, and a valid document for identification. Your order has been picked up. Apple Order Tracking via shipping carrier. Apple provides more info on this situation here, where it also explains why order status messages on the carrier’s website may differ from those on your Order Status page. Bear in mind that orders shipped directly to you will require your signature on delivery. Apple Order Tracking via text message. Apple also delivers SMS notifications to its buyers. This number ranges from 1 to 4 messages per order—the essential one is the first, which includes the order number, as well as the details of the store where you can pick up the order. Some buyers also receive a message after the order has been received. These SMSs are sent out between 8am and 9pm local time, but you can opt out of receiving them, if you find them a nuisance – simply go to Shipment Notification settings in your account. 2-Day Shipping. If you place your order before 5pm on a business day, you will receive your item within 2 business days. Orders placed on weekends will arrive on Wednesday. This shipment plan is available for all products that are in stock, but not for tailored Macs or engraved products. Similarly, financed purchases and orders paid for via bank transfer cannot benefit from free two-day shipping. Next-Day Shipping. Any iPhone that is in stock will be delivered on the following business day, free of charge, if ordered before 5pm. The only exception is for items ordered on Saturdays, which are delivered on Tuesday. Courier Delivery: same-day delivery, within 4 hours during business hours. Not available for certain items in certain zip codes. Guaranteed Next Day Delivery: to be delivered within one business day. Guaranteed Next Day Delivery, before noon. Some items only become available to ship within one business day. This is often the case with products in high demand, such as new releases, as well as with engraved or otherwise customized products. The Deliveries app, which is available for $4.95 on Apple’s App Store, saw a massive surge of popularity during the initial order fulfillment stage for the Apple Watch. Thousands downloaded it, to keep closer watch on their latest toy and find out just when it’s going to reach them. The app is available for any purchase made via the online store, though—not just for pre-ordered or delayed shipping items. Though Apple generally maintains quick delivery times, some users might find the app useful for tracking the exact status of their items. What Can You Do If the Apple Order Doesn’t Arrive on Time? Since Apple does not deliver the products themselves, the best course of action is to contact the carrier, if you believe your order is late for delivery. Apple does not assume responsibility for any lost, damaged, or delayed orders. 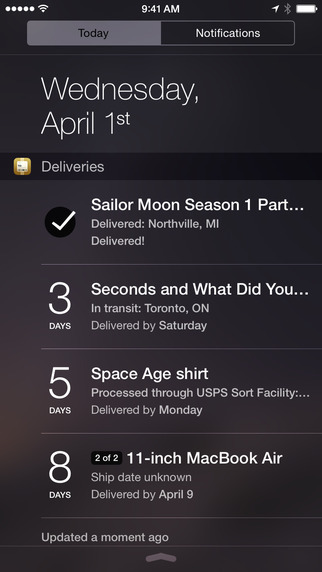 Hey Buddy!, I found this information for you: "Apple Order Tracking Tips & Tricks". Here is the website link: https://all2door.com/apple-order-tracking/. Thank you.